My girl “Intern Casey” is crazy! She is one of my favorite people to turn to about social media. Well my email went crazy and what do I find? 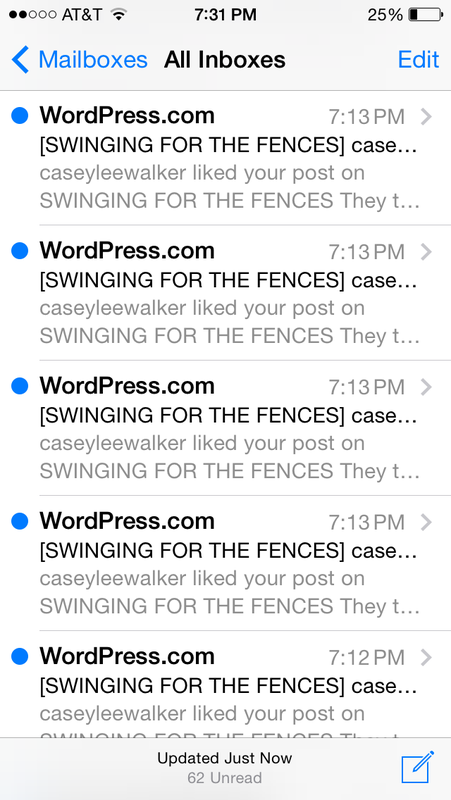 Casey has gone crazy on liking blog posts! Made my heart smile. Stay tuned, I think after this she deserves a guest blog spot! !